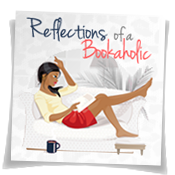 Reflections of a Bookaholic: How Many Bookmarks Do You Own? How Many Bookmarks Do You Own? How many bookmarks do you have? I have maybe 30 of basic paper and promotional bookmarks but I only have 2 really nice ones with tassels ! I used to collect the one with tassels when I was younger. I don't even know what happened to them. I have a lot of bookmarks but I too want this one! I may have to try to make one for myself. There is no hope in me making something like this. I use anything I can get my hands on, including candy wrappers. I have loooots of bookmarks but they're all promotional. I don't even have those. That's so cool! 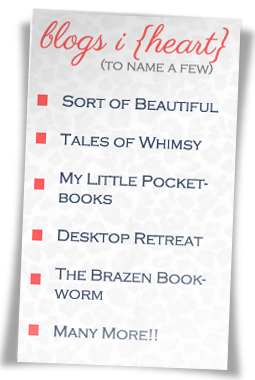 I want one too :) I have lots and lots of bookmarks everywhere. I tend to travel around the house with my books, so there's no telling when I'll need one RIGHT NOW. Oh my word! Are you serious? 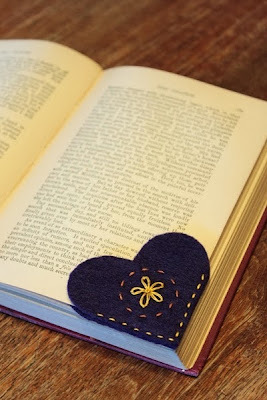 I have actually been wanting to do a bookmark post. This has encouraged me. I have hundreds! Some of them special some of them simple. I love yours! Very cute. 100s?!!! Wow! I lose them. How do you get them all? That's a decent amount. Lots more than me. That is unique. I love it. I only use pieces of ribbon. It makes me feel so Jane Austeny. I have a little wooden box full of different pieces of ribbon. Very Jane Austeny. I love it! I need to enter some swag giveaways. I love bookmarks and have a quite a few. However, I use a lot of different things for bookmarks...even receipts! lol But my favorite ones are postcards or bookmarks signed by authors that I've received as swag. I do the same thing. I use every day things for bookmarks. Aww... maybe you can get another one like it? I have alot of bookmarks and the only reason I have alot is because most of them I made and I haven't lost any of them because I have a jar I put them in that sits on top of my shelf. I think I'm gonna attempt to try and make one. A jar! That's a fab idea. I need to learn from you. I own WAY too many bookmarks. They fall out of drawers, cupboards, etc. But I can't throw any away, especially if they are signed by the author. But occasionally my dog get hold of one and chews it up. Is she trying to tell me something? Definitely shouldn't throw them away. Thats a really awesome bookmark. I got a ton that come with the book depository books, and A few autographed ones by Elizabeth Hoyt and Meg Cabot. 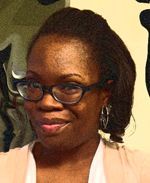 But my favorite are these hand-made ones that Steph from Stepping Out of the Page sent me, they are awesome. Oooh I'm so jealous. I want some! I have a rather large pile! Quite a few of those ones with the pictures on them and the nice tassles, and about a gazillion of the ones McNally Robinson puts in every book you buy there. With those ones, I periodically recycle the ones that have gotten all bent up. Where do you keep your pile? I only have a few of the paper ones here and there. I hardly use them. I have no fancy ones besides the book thong I made and currently I have no idea where I've placed it. That's me. That's why I'm down to 1. Counting my own bookmarks that have my book and name on them, over 1,000. Others maybe 30. My favorites are the ones my kids get me every Mother's day and birthday. I own quite a bit, I think. Not sure of the number. I have a large collection of promo bookmarks i pick up at movie conventions. Also won some promo ALice in Zombieland bookmarks. I bought two identical special zombie ones someone was selling at a convention recently, one for me and one for my birthday, they are so cute. Have also purchased a good amount. Need more though!! I'm starting to wonder why I don't have promo bookmarks. Everyone seems to have these things.